SUNESCAPE -The best self-tanning regime for your summer holiday! Hit the shower with an exfoliator to remove dead skin and old tan from your body, creating the perfect canvas for your self-tan. Try Sunescape’s Exfoliating Body Polish. If you shave your legs, try to do so a day before applying tan. This way your skin won’t be too sensitive and reactive to the tanning formulation. First, dab rough areas of skin (elbows, knees, ankles, hands, wrist) with Sunescape’s Hydrating Body Butter, to stop the tan from catching and building up on these areas. Now it’s time to get down to the business of bronzing. Apply self-tan to large areas of the body first: the limbs, stomach and back, then focus in on the feet, ankles, knees and neck. Be sure to use an Applicator Mitt to seamlessly blend and prevent tan transferring onto your palms. Use Sunescape’s Gradual Tan Extender to help soften and hydrate your skin while keeping your tan topped up. A regular moisturiser with no tint may decrease your self-tan’s longevity. 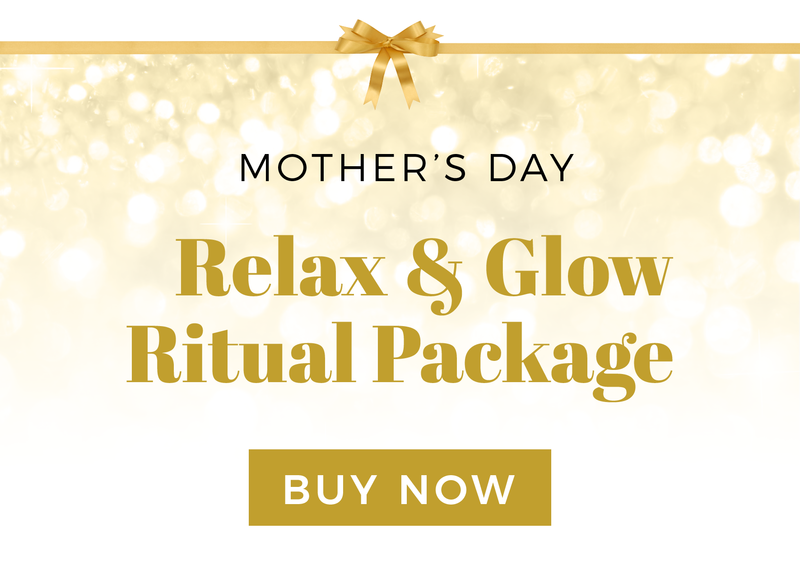 We have created this beautiful package that allows mum to relax for 90 minutes the way she want too. A fully customised spa facial to replenish and restore her skin to its glowing self, followed by the most advanced in skin technology to plump and energise her skin. While all this pampering is happening we will brighten mum with our specialised Bright Eyes Mask. Why should mums skin get all the attention? Let us melt her away with a warm oil massage with her choice in aroma or let’s add a splash of colour to her toes with a Blush pedicure. When you purchase a Relax & Glow Ritual Package you will receive a FREE take home Hutwoods soy candle and a delightful Mud & Co bath bomb: The perfect gift set for a beautiful bath experience for mum at home! Guess what? We have a treat for you too. Give mum the freedom to choose her own experience with a voucher for any monetary value. As a little added extra when you spend $99 or more on a Mother’s Day gift voucher you will receive a $20 gift voucher*. A treat for mum and a treat for you. CONDITIONS APPLY: All offers shown are valid until 31/5/18; are not valid with any other offer; non-transferable; no substitutions; not redeemable for cash or product. *Free Gift Set while stock lasts. Shipping applies to online purchases. 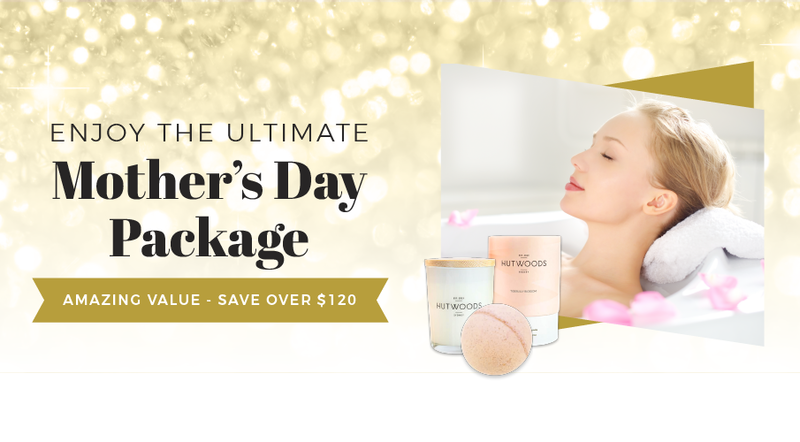 **Not valid with the Relax & Glow Ritual Package; Free $20 Gift Voucher is only valid when a Gift Voucher is purchased for a monetary value with a minimum spend of $99 per gift voucher. Free $20 Gift Voucher is valid for 2-months from the date of issue and is not valid with any other offer or redeemable for cash. Prices & Services are subject to change within the first 12-months without notice. You’ve booked your first spray tan in! Your immediate thought, “woo, look out world, I’m going to be a bronzed goddess this time next week”… Your second thought, “I’m going to be naked in front of a complete stranger”. 1. Eek naked? What if I’m too scared to get undressed – Trust us, take solace in the fact that your spray tanner has seen it all, literally. All your spray tan technician is worried about is giving you the best, most even, beautifully bronzed tan you’ve ever had. Your body may be there on show, and you may feel uncomfortable at first since it is your first spray tan, but we promise you the feeling goes away as quick as it came into your head. A spray tan is just your next step towards a Brazilian we say, and what’s more bare-all than that? 2. The prep sounds confusing! What do I do – Prep is the key to a flawless spray tan, but never fear, it is easy as 1-2-3 to get done! Firstly, make sure your body is a clean canvas. By that we mean hair removal, scrubbing away any residue on your skin, and making sure the rough areas on your skin are covered by a barrier of moisturiser. The day before we recommend using Sunescape’s Exfoliating Body Polish to remove any existing tan, dirt or lingering deodorant on your body, and finishing up with a light layer of our Hydrating Body Butter on your elbows, knees, ankles and feet, and your hands. And this tip isn’t just for your first spray tan, you should do this every time! Most tanners even do this for you to ensure the perfect tan. 3. I’m so pale, I’m almost transparent! What if I go too dark – This is guaranteed not to happen unless you ask specifically for a deep, dark tan. Luckily Sunescape provides a range of different tones and colours. Their are 3 spray tan solutions range from simply light to dark, each with its own level of DHA in the formula. Ask your spray tanner for a subtle glow, or a daring bronze (whatever your style) and you will get just that. nowadays without dehydrating your skin. Sunescape is equal parts ultra-hydrating and quick drying, allowing you to commit everyday tasks while your tan dries, as well as preventing that dreaded snakeskin end look. Now all your first spray tan woes are sorted, you will be beautifully bronzed in no time, ready for the weekend. No spray tan is complete without your prep and maintain products, ready for you to use.